This card can only be Normal Summoned or Set by discarding all other card(s) in your hand and Tributing 1 card you control with 2000 or more ATK. This card gains 200 ATK for each monster your opponent controls. 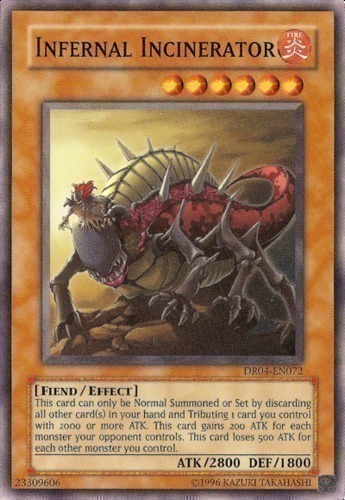 This card loses 500 ATK for each other monster you control.